Monday, August 27th - Saturday, September 1st! Come in to the shop during our Open House and check out our great prices on Janome machines. Join our new Janome club and become eligible to win a great Janome prize! Janome club is only open to Janome machine owners. 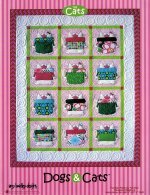 We will meet once a month to learn and create with our Janome machines. In addition, you will receive 20% off all Janome products on club days! Bench fees for service and repairs are discounted too! 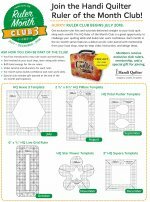 If you purchase a Janome from the Blue Hen Quilt Shop, you receive one year's membership to the club for free! 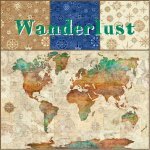 As well as several batiks and 20 more Australian prints Come see! 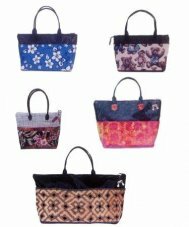 Check out our New Arrivals Page here! 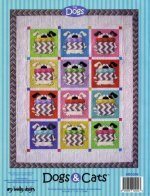 Can't decide which furry critter you love best - have them both in this fun Dogs & Cats pattern! 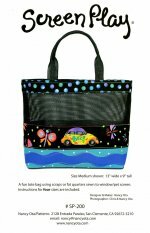 Need a new beach tote - these two great patterns just came it! Want to do a little fabric weaving... check out this Wefty Needle. 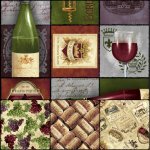 Handiquilter Ruler of the Month Club has just a few more spaces left! These rulers are pretty cool! They work for both long arms and sit down/home machines Check them out here! $29 a month for six months or save 10% by paying in full - $156.60! Starts August 18th! Fast flying geese using Deb Tucker's Wing Clipper Tool! 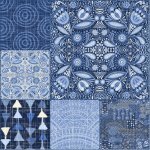 Come see how Jody plans her free motion quilting! 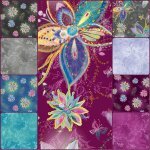 HandiQuilter Ruler of the Month - First meeting for this session! 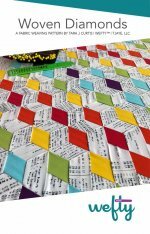 Hexi ruler featured - See above for more details! 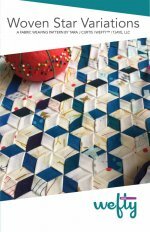 Come spend a few hours with De and learn to hand quilt. 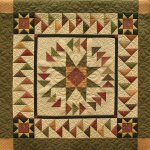 De is a prolific handquilter and full of wonderful tips and techniques for you to get started. Kit included in class fee. 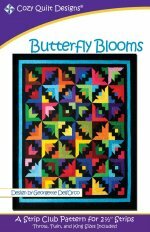 Bring a thimble, thread snips and perhaps a needle threader! Ours is going to be a little bit beachy! Working on it now - come see! Three different techniques to choose from when creating this little beauty!